Sometimes the desire for a different life, something spectacular or of world-changing influence, lies buried within a person's heart and mind, causing a sense of imbalance. 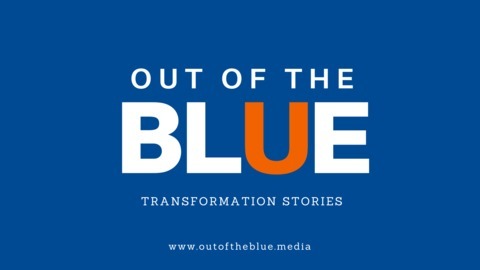 Left unexpressed, this has caused many an aspiring individual to sink into a state of depression or disconnection - spiraling into "the blue". 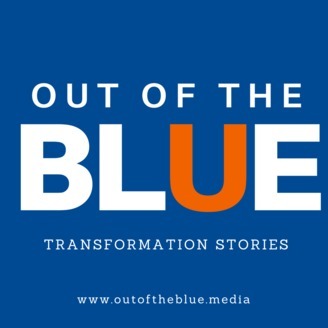 This podcast shares stories of those who have been through that state, made changes in their lives, and gone on to start living to their full potential. They have transitioned "out of the blue". Transforming their life from surviving to thriving. Listening to these stories will inspire hope in others who are feeling lost, disconnected, or even depressed about life, purpose, meaning and making a difference to the world. David Ryan is a Philadelphia-based father of two who blogs about his experiences and renewed lease on life after a divorce that he "did not see coming". From the deep despair that followed the sudden change, he used exercise and routine as his path to recovery and a return to a purpose driven life. Rediscovering along the way parts of himself that had been dormant for many years. He now wants to serve others by sharing his insights, creativity and compassion with those who are looking for guidance and connection after their own life-altering experience. In this episode we talk about the plans Dave has with his growing blog and community at Reinventure.org and share some valuable insights as the conversation unfolds. We also talk about the role that an attitude of gratitude plays in staying positive everyday.